A Melbourne man has decided to eat nothing but potatoes for an entire year to help with his food addiction and weight loss difficulties. Andrew Taylor, who is documenting his 365-day journey on his YouTube channel SpudFit, says that years of being unhealthy has encouraged him to take drastic action. “The last couple of years I’ve not been anywhere near as fit and active as I would like to be,” Taylor said on day one of the challenge. “Today I weighed myself and I’m the heaviest I’ve ever been, so I’m not happy about that. So that’s one of the reasons why [I’ve started this challenge]. “I have trouble controlling my food intake and I think of myself as a bit of a food addict. When you’ve got an addiction like a drug addiction or an alcohol addiction, the best thing you can do is stop taking drugs or stop drinking alcohol. And that’s exactly what Taylor has done, deciding that he will only eat potatoes with some herbs and spices for an entire year. 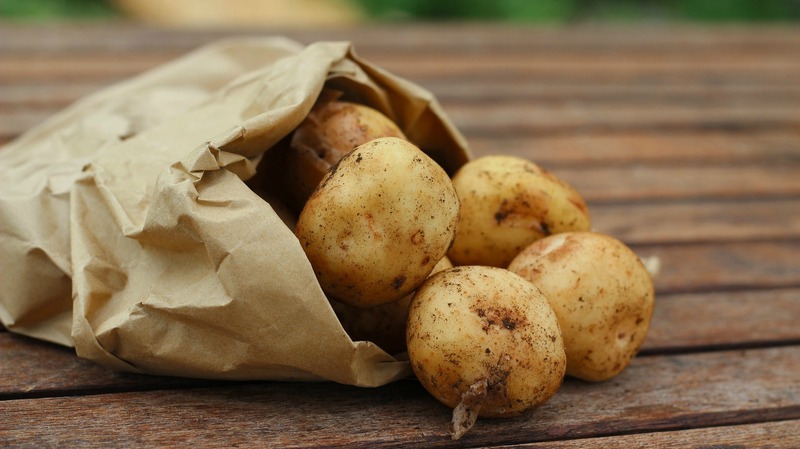 While potatoes are packed with a variety of vitamins, minerals and fibre, we wondered whether it’s possible to survive on potatoes alone and what that can actually do to your health. According to Sydney-based nutritionist Dr. Bill Sukala, potatoes are a healthy food choice as part of a well-balanced diet. But alone they don’t provide all the vital nutrients we need for optimum health. “Eating a diet with very little variety can increase the risk of nutritional inadequacy,” Dr. Sukala says. “For example, potatoes are very low in calcium and you’d have to eat approximately 50 potatoes per day to get your daily intake of calcium,” adding that that would be near impossible for most people. Each year Australians spend up to $1 million each day on unsuccessful fad diets. According to research, this behaviour can cause a cycle of weight loss and weight gain that can lead to heart disease and other health risks. Taylor says that this is the healthiest option for him to work towards making better lifestyle choices. “I’ve done lots of research into potatoes; lots of people in the past have lived basically on nothing but potatoes,” he says. Dr. Sukala says that eating a variety of foods would be much more beneficial for long-term health and wellness. “I recommend people eat a diet with a wide variety of fruits, vegetables, lean meats and unrefined carbohydrate sources like brown rice and quinoa,” Dr. Sukala says. What do you think of the SpudFit diet? Let us know.